Christian Boltanski was also inspired by the daily work performed by the ironworkers and has dedicated a large temporary installation to them and their emotions. In addition to the forced labour memorial site, he has created a major installation in memory of the workers at Völklinger Hütte. 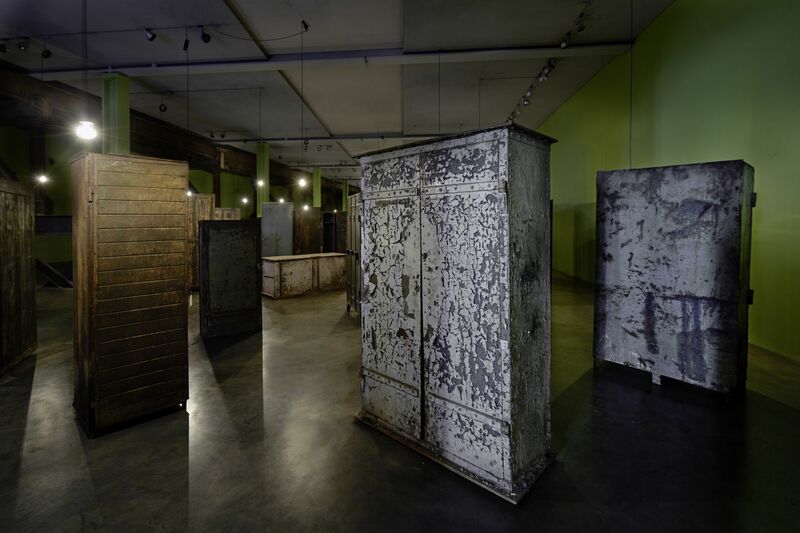 Located in the 800-square-metre ore shed, this installation comprises ninety-one atmospherically illuminated lockers from all parts of the ironworks. 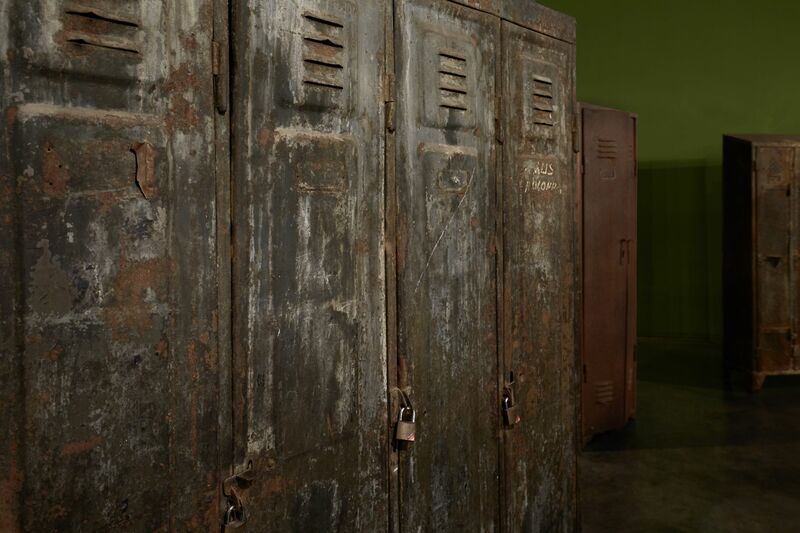 The voices of former ironworkers recalling their work at Völklinger Hütte resonate from the lockers. 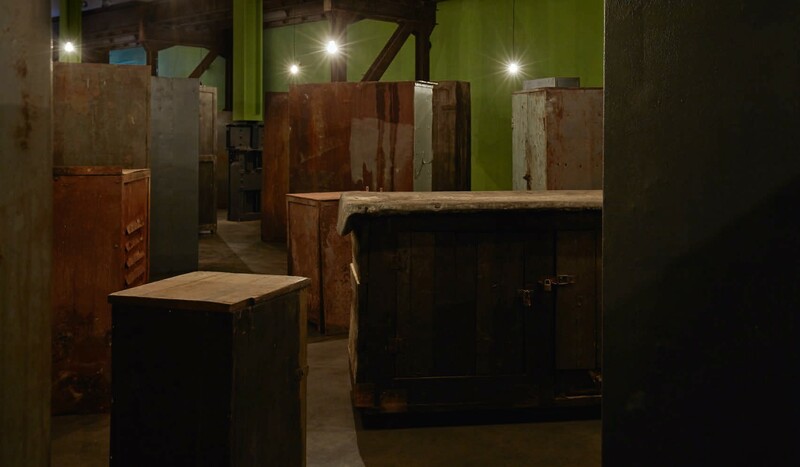 These lockers – the interior of which is private, the exterior the property of Völklinger Hütte – form the focal point of the installation, which remembers and pays tribute to the work of these former employees in an unusual and arresting manner. Christian Boltanski exhibited at documenta 5, 6 and 8 in 1972, 1977 and 1987 respectively. In 2011, he designed the entire French pavilion for the fifty-fourth Venice Art Biennale. Christian Boltanski’s works are exhibited in some of the world’s most important art collections, including the Museum of Modern Art in New York, the Tate in London and the Centre Georges Pompidou in Paris. The Völklinger Hütte World Heritage Site is the only fully preserved ironworks of industrial culture. Covering an area of more than 600.000 m2, the gigantic ironworks are a must-see attraction for anyone seeking the exceptional. On a tiny space it displays a collection of milestones in high technology of the 19th and 20th centuries. Today, the Völklinger Hütte forms part of the UNESCO World Cultural Heritage Sites, like the Cheops pyramid in Egypt, the Great Wall of China, the Acropolis in Athen and Cologne Cathedral. Where once there were chimneys smoking and a deafening noise was part of everyday work, is now a place of concerts and large-scale exhibitions.